There is a brewing controversy in the science world at the moment. Should a scientific discovery be withheld from the public to avoid terrorist attacks? Or should it be released to the public in order to study it further to avoid a pandemic? The "Bird Flu" or Influenza A virus H5N1 is a sub-type of the influenza A virus which can cause illness in humans and many other animal species. One strain of HPAI A(H5N1) is spreading globally after first appearing in Asia. The resulting epidemic have killed tens of millions of birds and forced the culling of hundreds of millions of others to stop it from spreading. To date, there are 577 laboratory confirmed cases of humans contracting the H5N1 virus. Out of the 577 infected by H5N1, 340 of these patients have died. Based on these numbers, there is a 59% chance that the disease is fatal once contracted by a human. 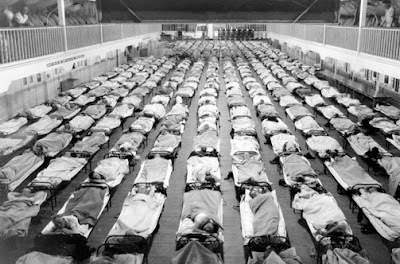 To put this into perspective, the Spanish Flu in 1918 that killed an estimated 50 to 100 million people had a mortality rate of only 2%. Currently, there are no recorded sustained human-to-human transmission of the virus, but two research groups have discovered a way to mutate H5N1 that may lead to constructing the virus to spread among humans causing a pandemic. The journals Science and Nature are jointly publishing a letter, signed by numerous researchers, declaring a voluntary pause on research involving highly pathogenic avian influenza H5N1 viruses. Sustained human-to-human transmission has not been reported. Whether this virus may acquire the ability to be transmitted via aerosols and cause a future pandemic has been a matter of intense debate in the influenza field and in general public health research communities. Pigs are required as an intermediate host to yield pandemic viruses. Researchers from the Netherlands and another from the University of Wisconsin have discovered the mutations that can turn H5N1 from a bird flu to a mammal flu, specifically in ferrets. The fear here is that with this discovery, it can open the research to modifying the virus to transfer from human to human by terrorists. Now, a federal advisory committee has recommended that the two research groups withhold key details from their pending publications on the H5N1 avian influenza virus. The studies, currently under review at Science and Nature, describe the specific mutations in the virus' genome that allow it to be transmitted as droplets between ferrets, which have been considered to be a good model for mammal transmission. In the wild, a version of the virus that is easily transmitted between humans could trigger a worldwide pandemic, potentially infecting millions of people.